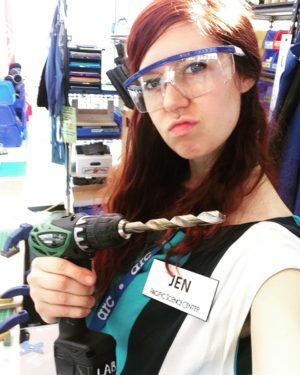 jenfoxbot here to announce a new & improved (..hopefully, lol) website!! We’ve moved around and added a lot of things, but it should be more clear and easy to navigate to find the things you are most interested in. We (in the royal sense) have been doing a ton of administrative work lately, using the tools in our heads rather than tools in our hands, which is why we’ve been slow on the project and video tutorials. Fortunately it means that this will allow us to grow and to do more of the things that you love from us! That being said, please tell us what you like and what you’d like to see more of! Our goal is to teach you the things you want to learn, and to best do that we would love to hear directly from you! Thank you for your support and go forth to make all the things!